"Why isn't my cellular data working on my iPhone 7 after updating to iOS 12.1? My iPhone keeps displaying no service. I tried everything I can but still doesn't work. How to fix cellular data doesn't work?" iOS 12 brings many amazing features to improve the users experience but also carries some problems. 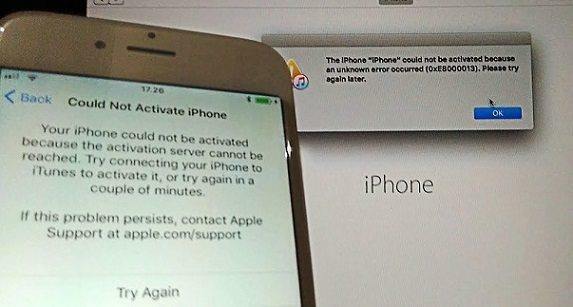 Many iPhone users complained that they could not activate cellular data network on iOS 12/11. The reason for this issue is usually related to some software conflicts and you can get it fixed easily with the following methods. Tip: This article also works to fix iOS 12.1.2 mobile/cellular data not working issue and jio data issue (apps not opening), and help to fix no cellular data on iPhone XR/XS/X after iOS 12.1.3 update. Some people encountered cellular data not available for voice call or not working for some apps on iOS 11/12, the easiest fix is to turn it off and then turn on again. To do this, go to Settings -> Cellular ->Cellular Data. Tap the switch to turn it off. Then tap the switch again to turn it on. The network carrier releases new update from time to time to improve the network compatibility with your iPhone. You can go to Settings -> General -> About to check if there's a new update. Go to "Settings" and turn on "Airplane Mode" and then disable it. Then the device will start searching for network signals. If the above tips failed to fix no internet connection after iOS 12/11 update, try to restart your iOS device. 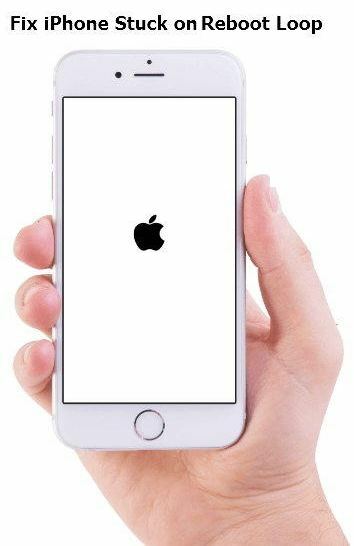 Hold down the on/wake button and Home button until the Apple logo appears. For iPhone 7 and later, hold the volume down button and the Power button at the same time. For iPhone X/8/8 Plus users, press and release Volume Up button, and then Volume Down button. After that, hold the Power button for some time. Open Settings, tap General -> Reset. Choose "Reset Network Settings" and confirm the operation. Enter the passcode if it prompts. Then go back to the Home Screen, press the power button for seconds to turn off your device. Wait for about 10 seconds, turn it on. Well, if there's still no service or searching on your iPhone/iPad, try to repair iPhone system with Tenorshare ReiBoot. This professional iOS system recovery software is able to fix a lot of system issues by installing the latest iOS firmware again on your device. What is more, your data won't be erased after system recovery. Download and install Tenorshare ReiBoot on your Mac or PC, connect iPhone to computer. Click Repair Operating System (Fix All iOS Problems). Once the device is detected. You will see an interface below. Click Start Repair and the software will list the latest iOS firmware for you to download. Please download the matching firmware for your device. Once the firmware is downloaded successfully, click "Start Repair" to recover iPhone system. This article tells you how to fix iPhone cellular data network not working in iOS 12.1.3/12.1.2/11. If you've encountered other similar problems after updating to iOS 12/11, such iPhone won't start, Wi-Fi not working etc., this iOS system recovery software is surely able to fix them for you. Check Top iOS 11 Update Problems and Fixes and Top iOS 12 Update Problems and Fixes should you encouter other unexpected problems with an iOS update.